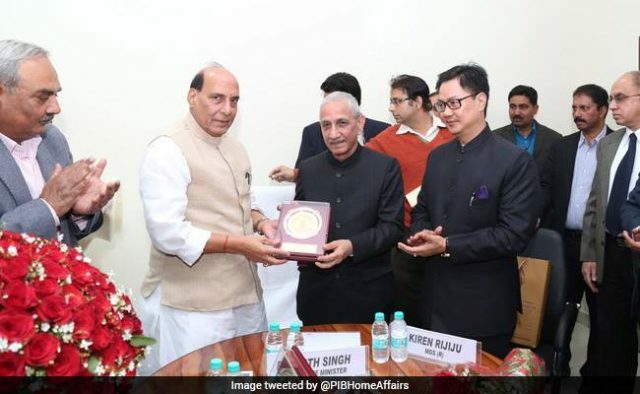 New Delhi: In a major development, the Centre today appointed Shri Dineshwar Sharma, former Director of Intelligence Bureau, as the Representative of Government of India to initiate and carry forward a dialogue with the elected representatives, various organizations and concerned individuals in the State of Jammu and Kashmir. Shri Sharma will initiate a sustained interaction and dialogue to understand the legitimate aspirations of the wide cross sections of society, particularly the youth in Jammu and Kashmir and communicate them to the State Government and the Centre. The move comes in the wake of various steps taken by Prime Minister Shri Narendra Modi to address the needs of the people of Jammu and Kashmir. It may be recalled that during his visit to Srinagar on November 7, 2015, the Prime Minister had announced a package of Rs 80,068 Crores for the overall development of the State. He has also met the leaders of political parties from time to time and received suggestions with regard to the issue of peace and development in J&K. In continuation of this process, in his address to the nation on 15th August this year, Prime Minister Shri Narendra Modi had mentioned that, “Neither by bullet, nor by abuses but by embracing we can solve the problem of Kashmir”. Subsequently, Union Home Minister Shri Rajnath Singh has also visited J&K from September 9-12, 2017 and met a large number of delegations from wide spectrum of the society. Shri Dineshwar Sharma is a Retired IPS officer from 1979 Batch of Kerala Cadre. During his distinguished career, he has served in J&K, Kerala, Uttar Pradesh, Nagaland and Manipur and as Additional Director and Special Director in the Intelligence Bureau in the Headquarters. He has in-depth understanding of security related matters and considerable knowledge and experience of issues relating to Jammu and Kashmir.